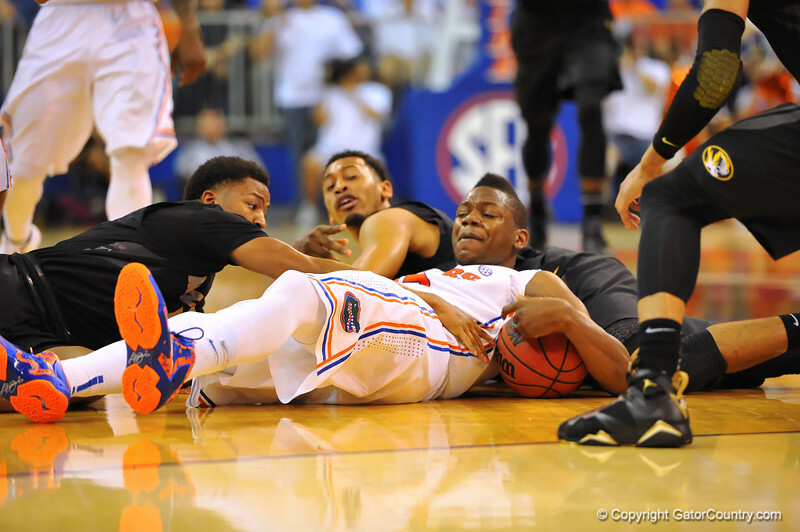 Florida forward Will Yeguete srambles for the ball against a couple Missouri Tigers. Florida Gators vs Missouri Tigers. Feb 4th, 2014. Gator Country photo by David Bowie.